Pugly has NEW ice skates and a new SPARKLY outfit, and he is READY to win PETS ON ICE! Can Pugly pirouette on to the podium, or will he be cut down in his furry prime? 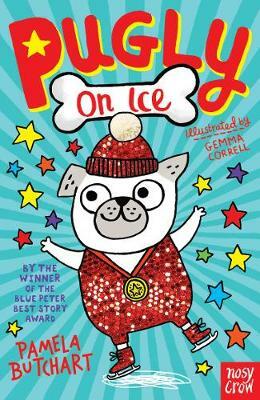 'Pugly' is a laugh-out-loud series about a very adventurous pug, written by Pamela Butchart, winner of the Blue Peter Best Story Award and the Children's Book Award. This was a great tale of a dog who really wanted to enter 'Pets On Ice' and win it. This book was inspiring and shows that if you follow your dreams, you can do absolutely anything if you work hard and try!